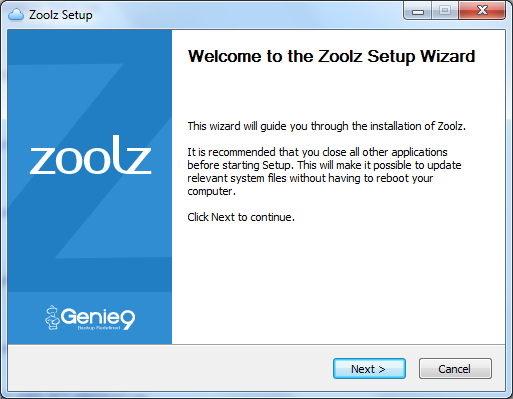 /BigMIND /Getting Started /How Can I Download and Install Zoolz? 2. Save the application’s setup to your computer. 3. Wait until the download completes. 4. 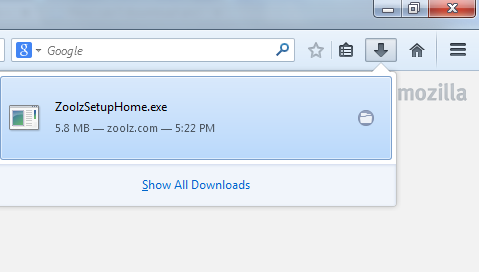 Once downloaded, double click on the setup or click on the arrow and select open to start installing Zoolz. 5. 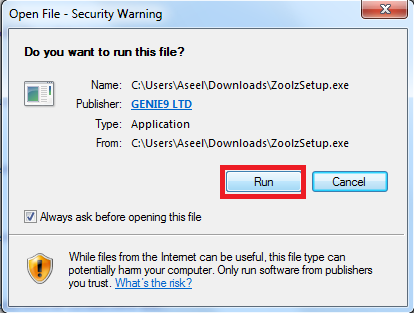 When you run the setup, you may receive a security warning from Windows like the one pictured below. Click Allow or Yes or Run to proceed. 6. Proceed with the installation wizard. 4. Once downloaded, go to the downloaded files list and double click on the setup.